TFNation have announced the latest guest for their 2016 show. 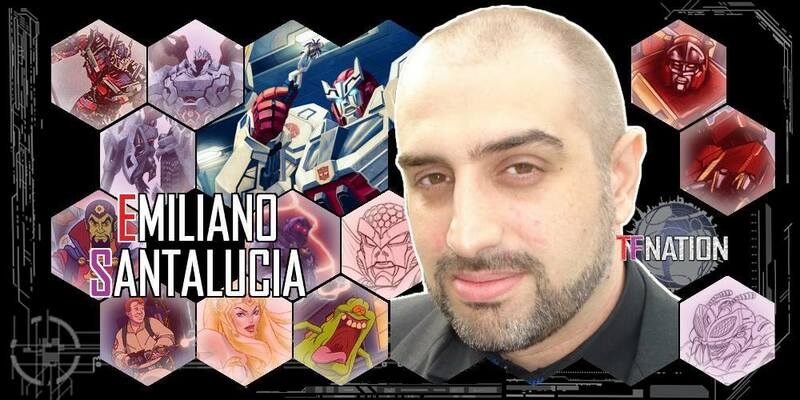 The latest guest joining TFNation 2016 is Emiliano Santalucia! Emiliano has done some substantial work on the Transformers franchise. Working as a concept artist for Hasbro, Emiliano has contributed concept artwork for a whole range of Transformers lines including Dark Of The Moon, Transformers: Crossovers, Generations, Robots In Disguise, Combiner Wars and Titans Return. To name but a few toys he has helped to design: Generations Rhinox, Rattrap, Waspinator and Metroplex; Combiner Wars Sky Lynx; Titans Return Galvatron, Fortress Maximus and Skullsmasher. So if you are among the throngs intending to pick up Titans Return Fortress Maximus at » Continue Reading. The post Emiliano Santalucia to attend TFNation 2016 appeared first on Transformer World 2005 - TFW2005.COM. Tie-in merchandising, where would the Transformers franchise ever be without it? Answer: probably the same place, but with less stationery with Grimlock, Bumblebee, and Optimus Prime’s faces on it. 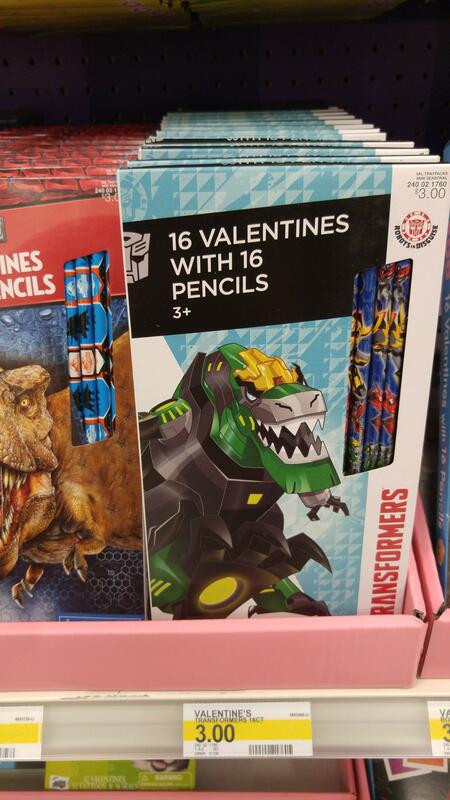 Continuing on the trend of Transformers tie-in merchandise, we’ve got word that Target is now putting out Valentine’s cards for the Robots in Disguise line. If the packaging is anything to go by, there’s some cards featuring them in there, so pick them up and let that special lady know she’s dino-mite! … or not and spare them the terrible pun. The post Robots in Disguise Valentine’s Cards appeared first on Transformer World 2005 - TFW2005.COM. 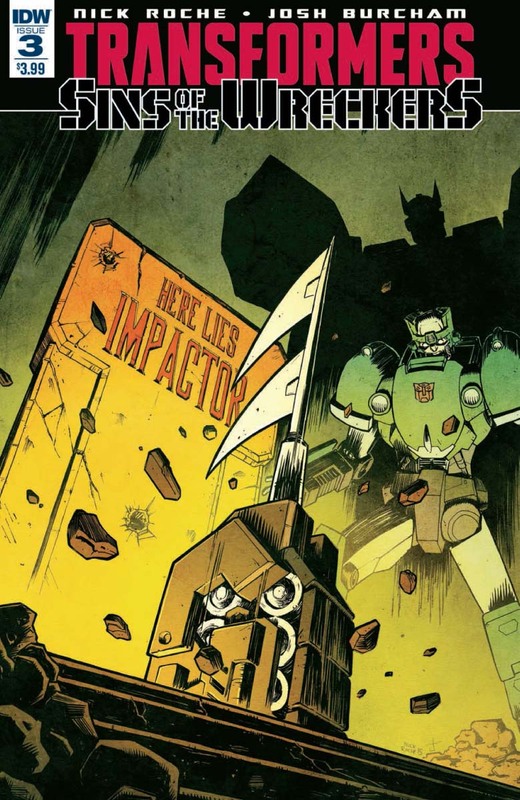 Newsarama have posted the full-length preview to next week’s Transformers: Sins of the Wreckers #3. The shadowy secrets of Prowl’s past come to light, and in this preview we also get to see the mastermind behind Prowl’s disappearance. The Wreckers are moving in to rescue the Autobot military strategist, but in order to do so, they need to overcome the Noisemaze! Check out the preview after the break, and pick up the full issue when it hits stores this Wednesday! The post Sins of the Wreckers 3 Full Preview appeared first on Transformer World 2005 - TFW2005.COM. 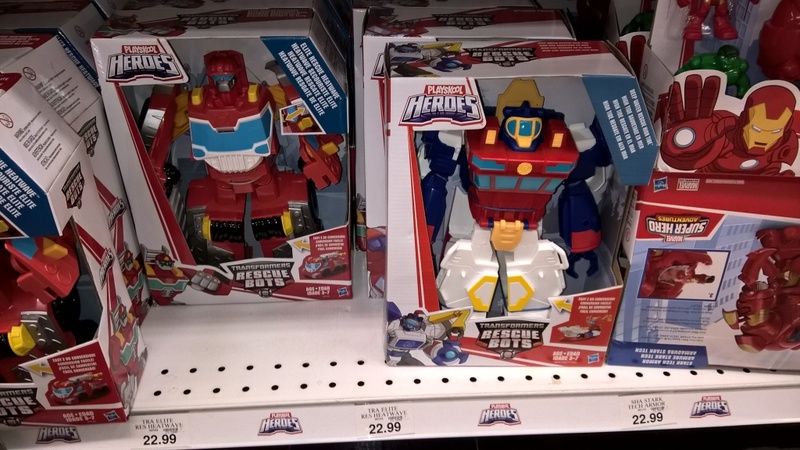 Some new Rescue Bots action has now hit US store shelves. Thanks to 2005 Board member Hollywood Hoist for this tipoff. He has found the new version of Rescue Bots Deep Water High Tide at a Toys R Us in Washington State. The previous version of High Tide was his smaller, blue, Mini Sub that came with the Rescue Rig Playset. In the show, the smaller High Tide can merge with his ship to form this giant! Check out the photo proof after the jump! The post Rescue Bots Deep Water High Tide Found at US Retail appeared first on Transformer World 2005 - TFW2005.COM. Ontario Collectors Con is very happy to welcome Michael Dobson to the event this year. He has voiced a long list of characters including STARSCREAM in Transformers Armada/Energon/Cybertron, LEONARDO in Ninja Turtles: The Next Mutation, COBRA COMMANDER in G.I. Joe: Spy Troops and G.I. Joe: Valor vs Venom, HULK in Ultimate Wolverine vs Hulk, both BATMAN and the JOKER in Batman Black and White and many more roles. He will be available all day for autographs and photos. The 2016 Ontario Collectors Con will be Sunday, January 24th at the Hilton Mississauga/Meadowvale Hotel – 6750 Mississauga Road, » Continue Reading. The post Voice actor Michael Dobson to attend Ontario Collectors Con 2016 THIS SUNDAY appeared first on Transformer World 2005 - TFW2005.COM. Angry Birds: Transformers mobile game version 1.10.5 is now rolling out regionally for the Android and iOS devices. This latest update brings several changes to the gameplay. **INCOMING TRANSMISSION FROM TELETRAAN 1** /UPGRADED ACCESSORIES! Accessories now boost your Transformers performance. Get kitted out to gain the advantage! /UPCOMING EVENT! Keep your eyes peeled for an exciting series of challenges! Win powerful accessories for Soundwave! /GAMEPLAY IMPROVEMENTS! The game has been rebalanced to provide a more exciting challenge! Download Links: Android – Google Play Store, Amazon App Store iOS – Apple iTunes Store Head on over to our <a » Continue Reading. 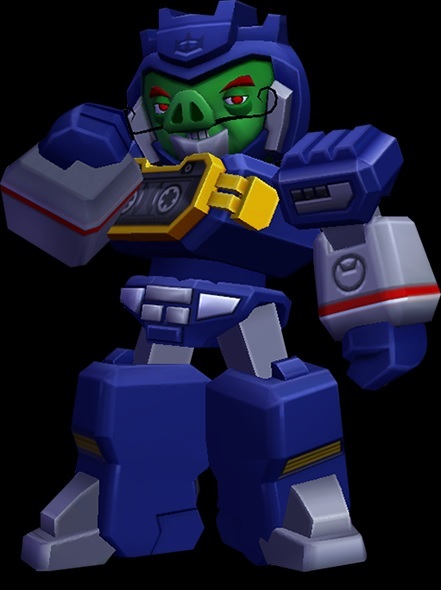 The post Angry Birds: Transformers Update Version 1.10.5 Now Rolling Out appeared first on Transformer World 2005 - TFW2005.COM. 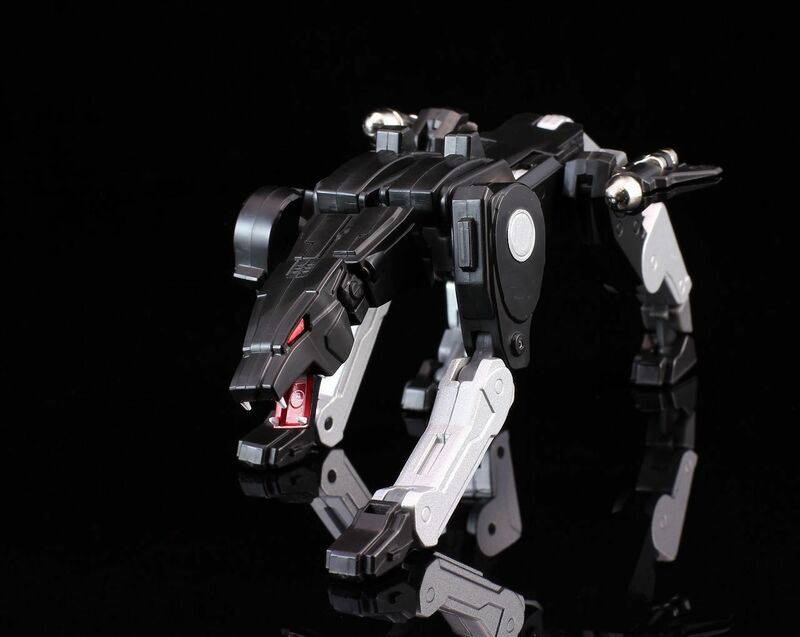 Following up on our news post about Mastermind Creations’ latest release in their Ocular Max series, RMX-01 Jaguar, MMC has put up a teaser on their Facebook page. 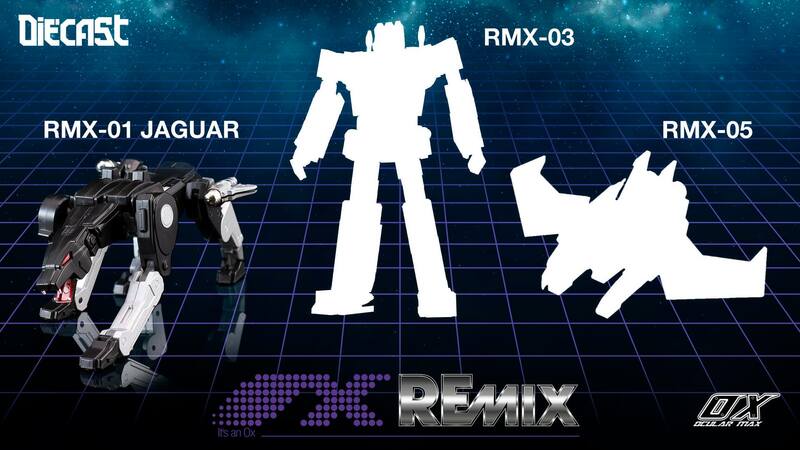 The next two figures teased are RMX-03, a Rumble/Frenzy mold and RMX-05, a Laserbeak/Buzzsaw homage. These figures will be 1:1 scale and be made with diecast parts. You can join the discussion for RMX-03 after the jump. Or you can join in the discussion on RMX-05 by clicking here. The post Mastermind Creations Ocular Max Remix RMX-03 & RMX-05 appeared first on Transformer World 2005 - TFW2005.COM. To end another great week of Transformers and to start the weekend, here is a quick update from Robotkingdom, TFW2005 friend and sponsor! 1.For any Orders with Perfect Effect items PE-DX07 or purchased over USD129.9 Perfect Items , a Perfect Effect Convention Exclusive PE-10X Shadow Bat will be included For FREE! ***This gift is limited to 1pcs per order*** ***This offer will end on 31st Jan 2016. *** 2. New Stickers Wave 2 Available! 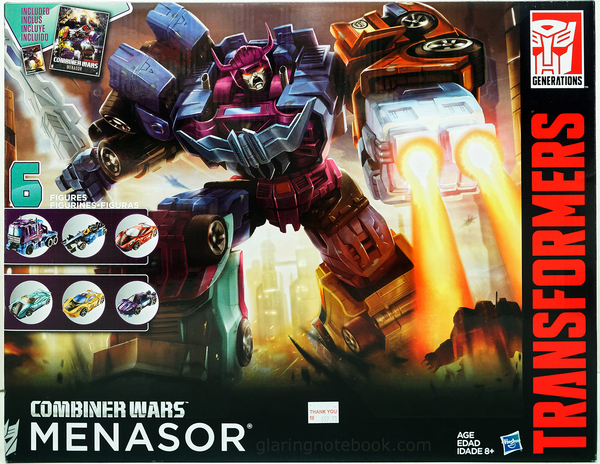 All ORDERS WITH GENERATIONS 2015 ITEMS WILL RECEIVE HASBRO EXCLUSIVE COMBINER WARS STRICKER PER ORDER! https://www.facebook.com/media/set/?…9870600&type=3 3. All ORDERS with Generations » Continue Reading. The post Robotkingdom Newsletter #1309 appeared first on Transformer World 2005 - TFW2005.COM. 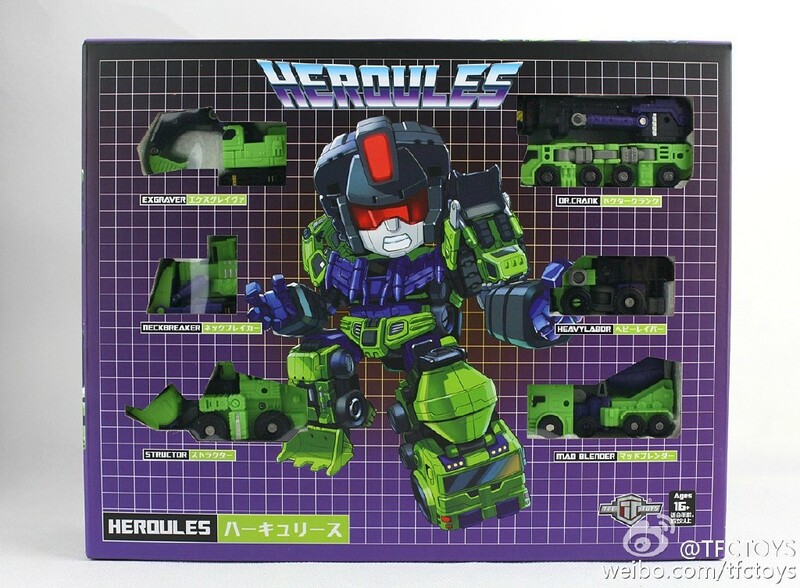 Via TFC Toys‘s homepage on Weibo, we have a gallery showoing off TFC Toys HerQules‘ final in hang figure and the packaging box art. It appears the front of HerQules’ box was arranged to homage Takara’s original Generation 1 Devestator‘s Gift Set. We also get a glimpse of the figure menacingly posing with MasterMade‘s Diabolus Rex. What are your thoughts on this super deformed style Devestator figure? Check out the images and let us know on the boards after the break. The post TFC Toys Primary School PS-03 HerQules Final Product and Packaging Images appeared first on Transformer World 2005 - TFW2005.COM. Fansproject’s FPcore site has updated with colored prototype pictures of the next two Saurus Ryo-Oh (aka DinoKing) pretender shells. The next two to be offered will be Ankylobot and Brontobot. These are the shells for Fansproject’s Dinosan (Rairyu) and Dinoshi (Gairyu). These shells also double as piggy banks. Additionally, Fansproject recently made a statement on their Facebook page that these shells have turned out to be too expensive to produce, but they would in fact be releasing all six shells. Albeit, in limited numbers. You can read the statement from their Facebook page after the read » Continue Reading. The post Fansproject Lost Exo Realm Ankylobot and Brontobot Colored Prototype Images and Release Information appeared first on Transformer World 2005 - TFW2005.COM. Mastermind Creations has updated their Planetsteelexpress.com site with preorders for their Ocular Max REmix01 Jaguar figure. This figure is a 1:1 scale version of a Masterpiece inspired G1 Ravage previously seen at TF Con ChicagoÂ back in October. The listing not only includes some final product images of the figure, but notes that they will be fulfilling preorders within the next week. You can check out the images and join the discussion thread after the jump! The post Mastermind Creations Ocular Max Jaguar Final Product Images and Preorder appeared first on Transformer World 2005 - TFW2005.COM. Thanks to TFW2005 member Kiresu,Â we’ve received an interesting piece of news suggesting that Masterpiece Bumblebee will be seeing a Toys ‘R Us release.Â Kiresu provided this evidence this morning with the computer listing for Masterpiece Bumlebee that includes a Spike figure, priced at $64.99. 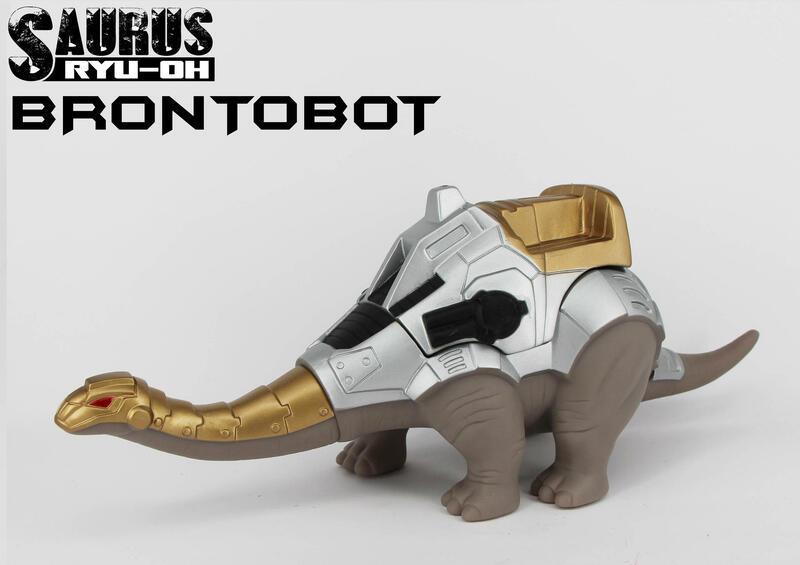 Hasbro has made a valiant effort to release most Masterpieces through Toys ‘R us, so this “rumor” has some serious weight behind it. Stay tuned here as more information becomes available. The post Masterpiece Bumblebee Toys R Us Computer Listing appeared first on Transformer World 2005 - TFW2005.COM. 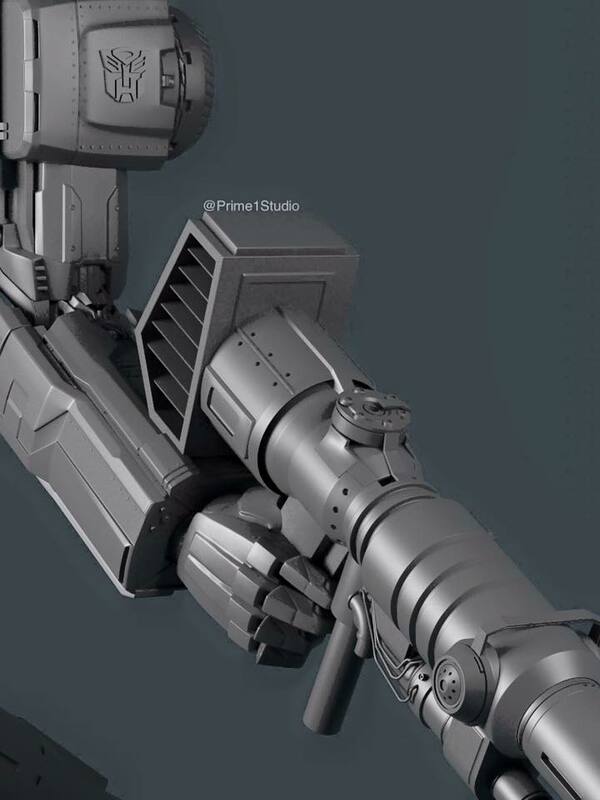 Prime 1 StudioÂ teased earlier this morning an image of their G1 Optimus Prime via their Instagram account. The teaser image is that of Prime’s iconic blaster, but we can also see just a hair of Prime’s arm which gives us some ideas of the amount of detail that will go into this line of statues. As a refresher, Prime 1 Studio is a company that designs highly detailed statues, this particular line ofÂ G1 charactersÂ will be designed byÂ Josh Nizzi and feature Optimus Prime and Megatron. More news and information areÂ sure to follow soon, stay tuned! The post Prime 1 Studio G1 Optimus Prime Teaser appeared first on Transformer World 2005 - TFW2005.COM. Boxart for the Combiner Wars G2 MenasorÂ box set have surfaced, this time in a higher resolutionÂ showing off the G2 colors in all of their brilliance. With the G2 Superion set recently released, the G2 nostalgia is running high and it will continue as we can expect to see Menasor released as early as next month. Enjoy the art after the jump. The post Combiner Wars G2 Menasor Boxart appeared first on Transformer World 2005 - TFW2005.COM. Clear Image of Masterpiece Optimus Primal Prototype! 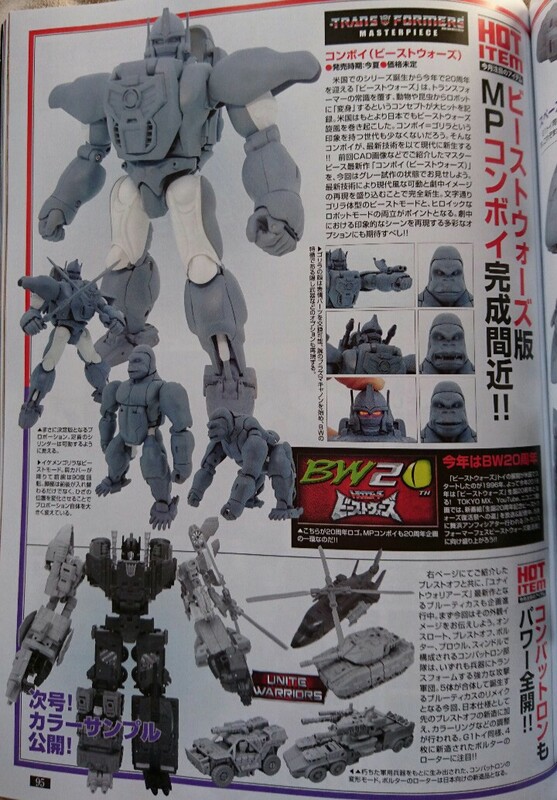 Hot on the heels of all our Takara Unite Warriors Bruticus and Blast Off news, TFW2005 boards member aniline has just dropped by with an image from Figure King magazine of yet another upcoming figure – one that many of us Beast Wars aficionados have been waiting with bated breath to see: the prototype of Masterpiece Optimus Primal! From what we can see here, Primal will contain many features, including show-accurate swords, arm blasters, and back cannons. Surprisingly, the boss monkey also appears to have alternate beast mode facial expressions – and also light-up eyes in robot mode! You can » Continue Reading. The post Clear Image of Masterpiece Optimus Primal Prototype! appeared first on Transformer World 2005 - TFW2005.COM. Thanks to twitter user Mr. 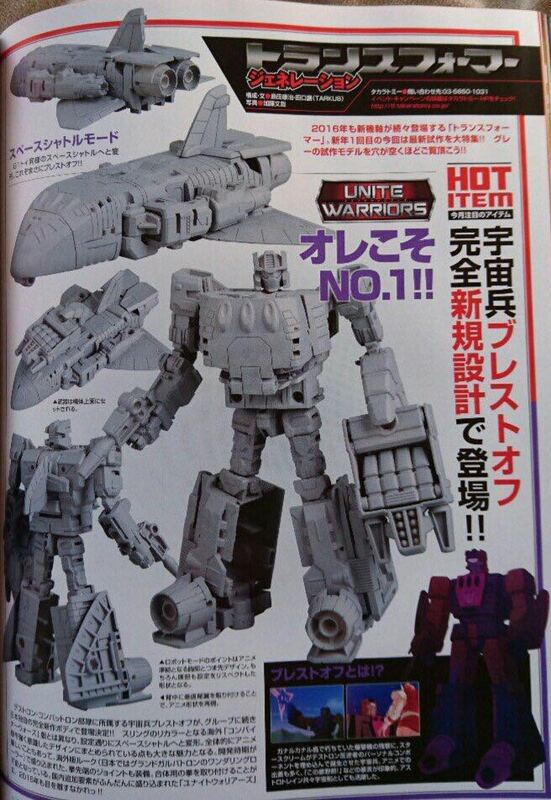 Crying Face, an even clearer image of the highly anticipated Unite Warriors Blast Off figure has surfaced! This time we get a good look at Blast Off’s robot mode and alt mode which in turn provides a better idea as to how his transformation will work. From the looks of it, Blast Off is indeed an all new mold and not an amalgamation of parts or some sort of heavy remold of a pre-existing figure. It also seems as if his combiner hand-foot-gun has a new shell, making it a more unique weapon » Continue Reading. The post Unite Warriors Blast Off – Clear Image appeared first on Transformer World 2005 - TFW2005.COM. 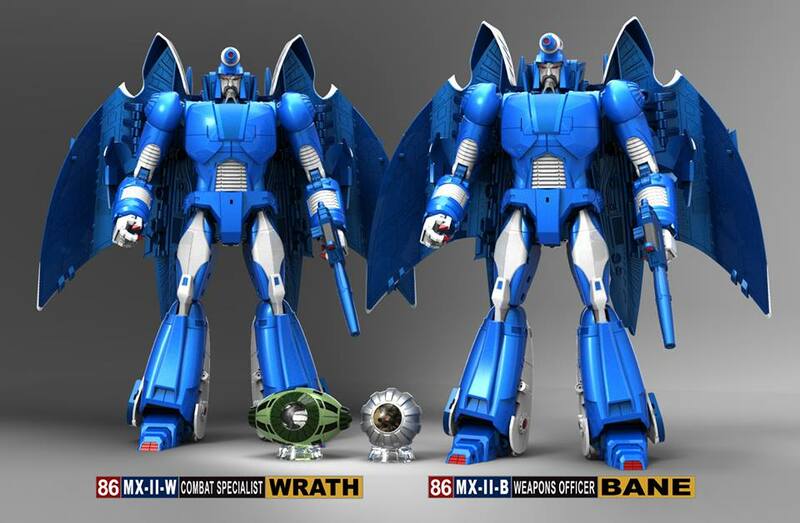 Through their Facebook page, Third Party Company X-Transbots shared images of their up coming release of MX-II-B Bane, MX-II-C Curse, and MX-II-W Wrath, their masterpiece inspired of the Sweeps. Each of these release appears to be paired with an different accessory. Bane and Wrath will be released with Cog of the City and Eye of the City, presumably to imitate an eye of Metroplex and Trypticon. 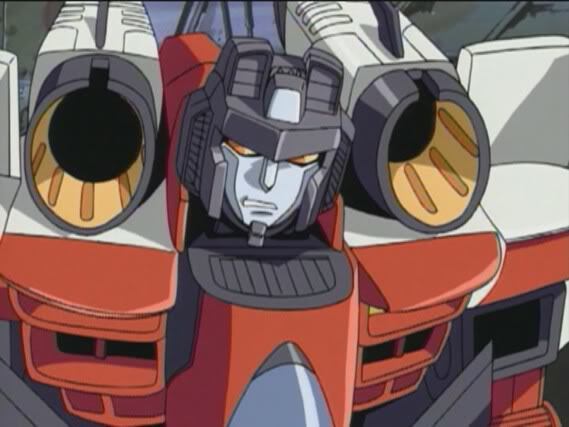 Curse will be paired with a “Traitor’s Ghost” accessory, allowing you to emulate Starscream possessing Sourge as a ghost. Unfortunately, no information on pricing or release date is available at this time, but » Continue Reading. The post X-Transbots MX-II-B Bane MX-II-C Curse MX-II-W Wrath Rendering Images appeared first on Transformer World 2005 - TFW2005.COM. Via an ebay listing posted by the well-known lena81822, we have our first in-hand look at the Hot Rod figure who will be one of three figures in the upcoming Planet of Junk Clash set! Lena81822 is well-known for surprise listings which often give us in-hand looks at unreleased figures and this listing is no exception. 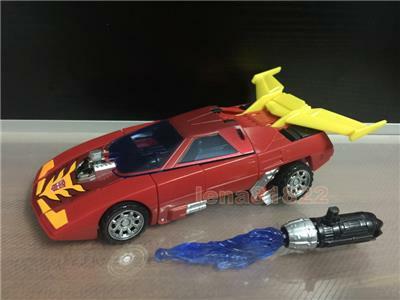 The listing shows off Hot Rod’s alt mode which features a new paint job and a slightly remolded engine block which is speculated to be a means of preventing the use of the Fans Project Protector armor. However, the listing doesn’t provide » Continue Reading. The post Platinum Edition Planet Of Junk Clash Hot Rod – In-Hand Images appeared first on Transformer World 2005 - TFW2005.COM. 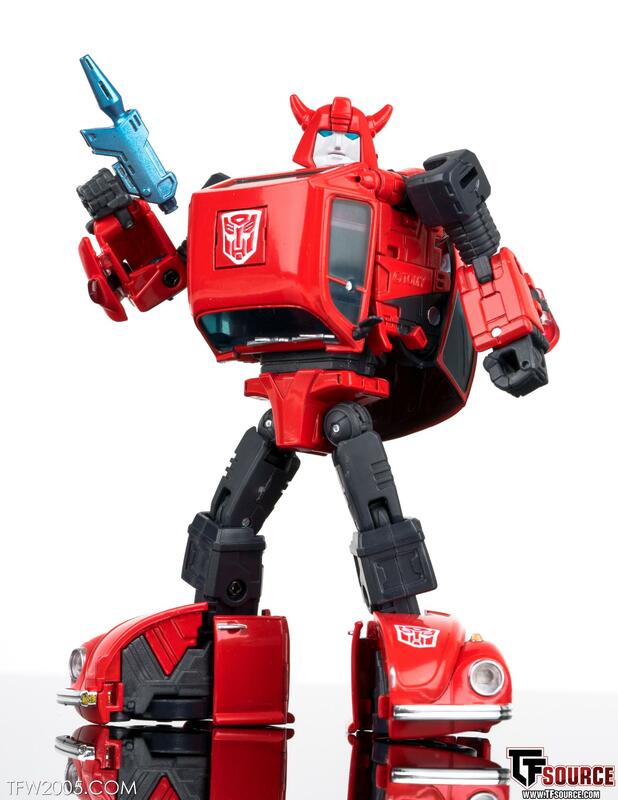 Last up in our look at recent Masterpiece releases from Japan is MP-21R Bumble (Red Body) aka Red Bumblebee. Red Bee is a repaint of Masterpiece Bumblebee and now comes in the alternate color which filled the pegs back in 1984. For our casual reader – this isn’t meant to be Cliffjumper, Bumblebee was produced in both red and yellow and packaged as Bumblebee back in the 80s. For fans of the mold or Masterpiece completionists we now have another clone to add to the ranks. Some key shots and discussion are attached to this story » Continue Reading. The post Masterpiece MP-21R Bumble (Red Body) Gallery appeared first on Transformer World 2005 - TFW2005.COM. 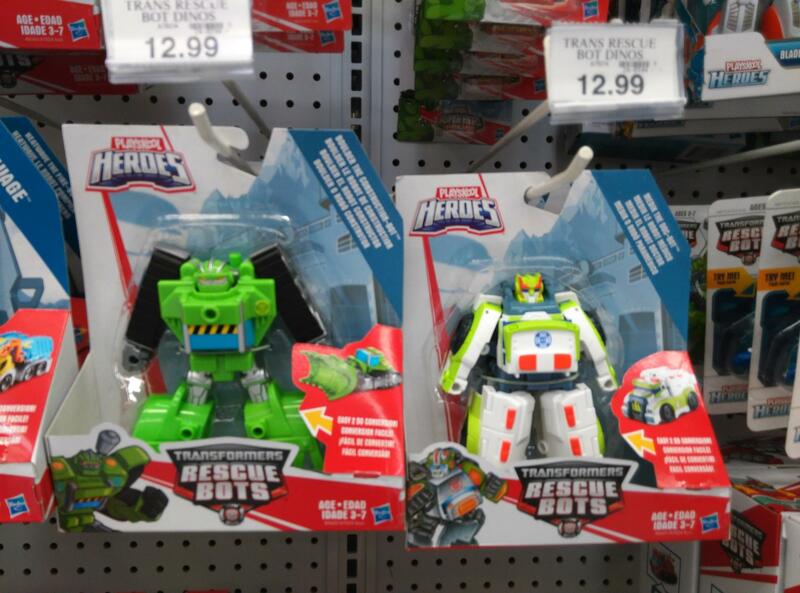 After only recently learning that new versions of Boulder and Medix were on the cards for the Rescue Bots line, word reaches us that the pair have already arrived at US retail. 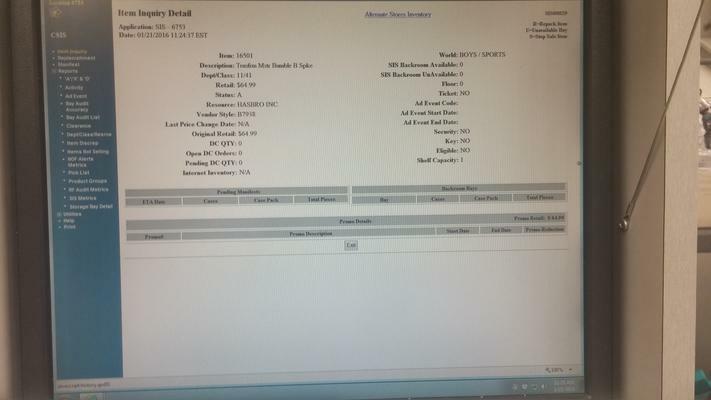 TFW2005 member nstanosheck reports that Medix and Boulder were chilling on the pegs at Toys’R’Us in Irving, Texas. According to nstanosheck, Medix’s transformation is similar to her original toy – perhaps even a little more complex. They’ve provided us with some in-hand images of the toy in package to give a decent look at this new Rescue Bot. Check them out attached to this post. The post Rescue Bots 2016 Boulder and Medix Released in the US appeared first on Transformer World 2005 - TFW2005.COM.